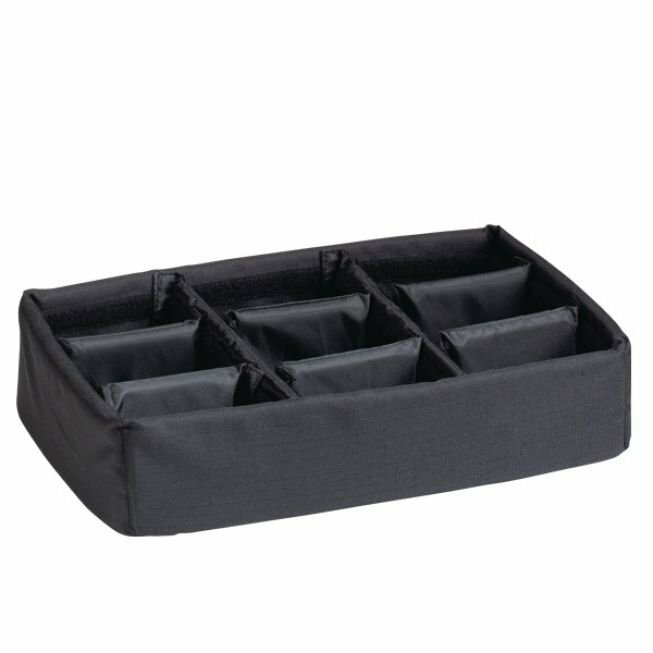 Highly durable padded tray with adjustable internal dividers for flexible configuration. Ideal to protect sensitive equipment (ie electronic, photographic, broadcasting, medical etc.). Suitable for case 5833 in combination with BAG-G and DIV-H.